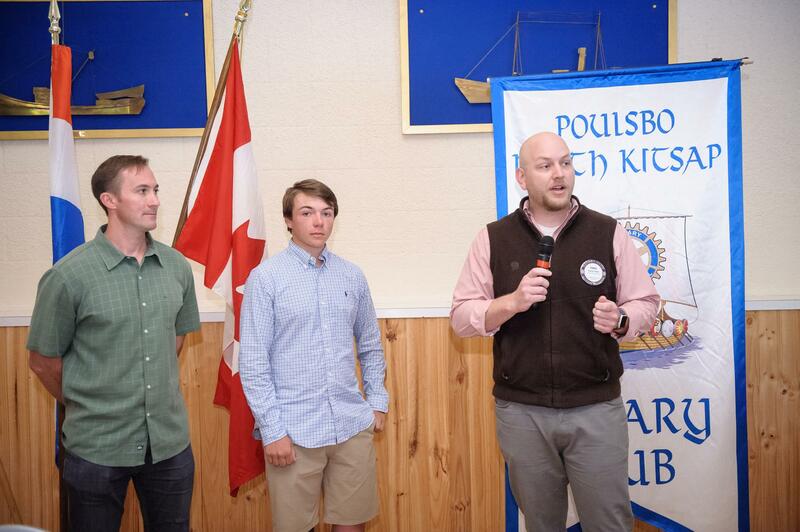 Force Tolar presented a check for $332 from the Poulsbo-NK Rotary Foundation to Scout Alex Ashley of Troup 1571 for his Eagle Scout project. He will be building garden boxes in the green space between the Martha and Mary Retirement Apartments and the Child Care Center. He was inspired to create a beautiful space to be enjoyed by two different populations: the old and the young. He aspires to “make where we live better.” Well done, Alex!